All porcelain pavers are characterized by their exceptionally low water absorption, high stain resistance, freeze/thaw resistance, fade resistance, scratch resistance and fire resistance due to the basic raw materials used and the extremely high firing temperatures during manufacture. Nevertheless technical specifications and characteristics will vary slightly between different makers due to differences in raw materials used, processing and manufacturing techniques. Archatrak imports porcelain pavers from several manufacturers in Italy so we have prepared a chart detailing the principal technical specifications of each paver color by manufacturer. The chart can be downloaded here. No industry standard specifically specifically referring to the use of porcelain pavers for outdoor raised floors or decks currently exists. There is only the somewhat related standard is EN 12825 “Raised Floors” of August 2001. In this specification, the specific field of application and purpose refers to “raised access floors, mainly used in indoor applications”. Most porcelain paver manufacturers typically provide test results for this standard. The other test method commonly quoted is EN1339 which specifies materials, properties, requirements and test methods for cement bound un reinforced concrete paving flags and complementary fittings for use in trafficked paved areas and roof coverings. 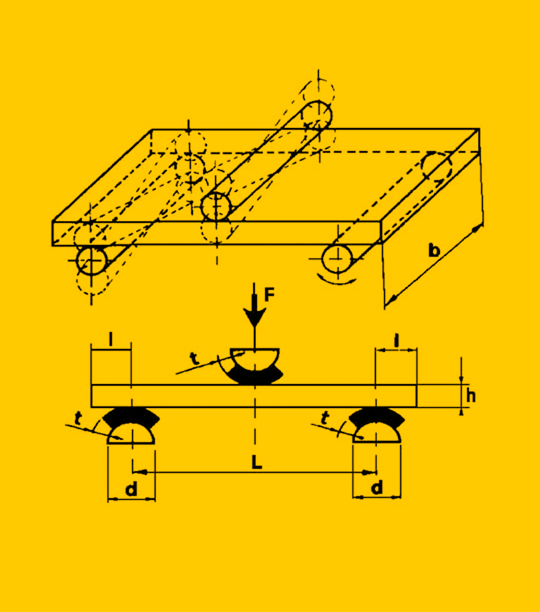 In this standard, the breaking load is determined by applying increasing pressure from a load inducing bar placed across the full width of the paver and equidistant between two load bearing supports on the underside of the paver, as illustrated in the above diagram. The standard test method used in the ceramics industry for determination of impact resistance is EN ISO 10545 – which measures the coefficient of restitution. In this test, a ¾” diam. steel ball is dropped from a height of 39” onto the center of 3” x 3” samples bonded to specially prepared concrete blocks 2” thick. The height of the rebound is measured, or, alternately, the interval of time between two successive rebounds. Any damage visible from the distance of 39” must be noted, but can be ignored in classifying tiles. A coefficient of restitution with a value of 0.55 is considered sufficient for normal low-stress levels of use; higher values are required in cases where greater stress is anticipated. 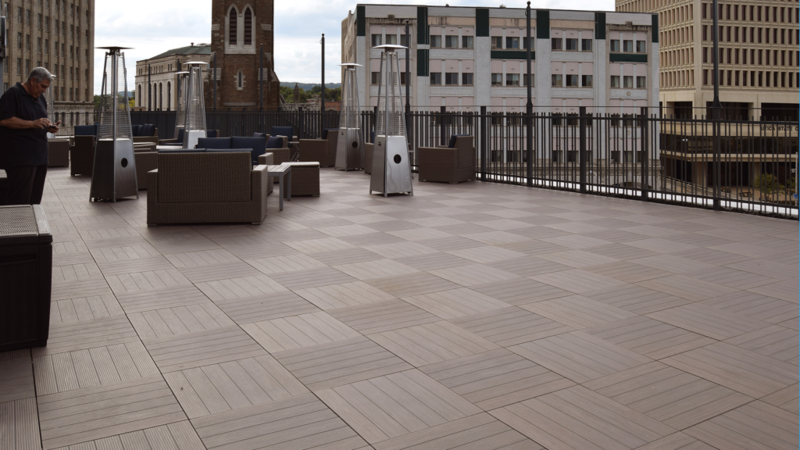 Whilst all porcelain pavers supplied by Architrex exceed this minimum value, in elevated floor applications where pavers are supported only by adjustable height pedestals, the shock resistance under more severe conditions must be considered to avoid any risk of damage or injury should any paver suffer damage due to cracking. Despite the intrinsic density and stiffness of porcelain pavers, slabs may break if a heavy object is dropped from a significant height. 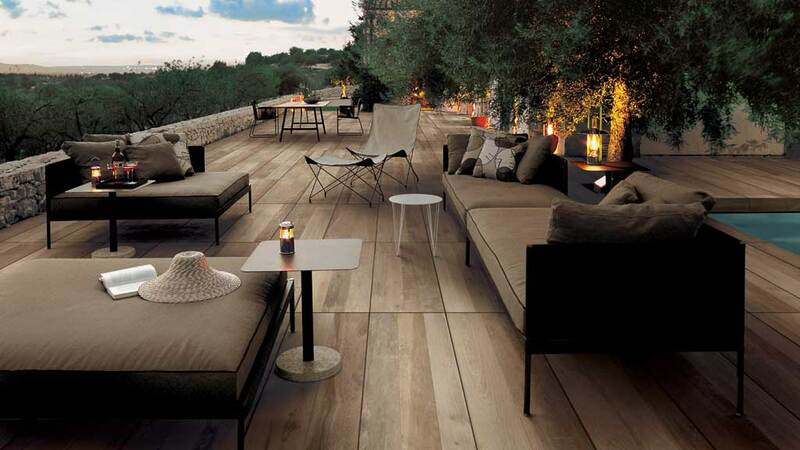 Consequently, project managers, specifiers and customers need to carefully assess the intended use of the floor or deck in relation to the technical specifications of the porcelain pavers. Where hard and heavy objects are likely to be used, or where floor heights are greater than 4”, it is recommended that appropriate reinforcement is applied to the underside of the pavers, such as glued glass fiber mats, metal sheets or trays.